It cleans you. You clean it. 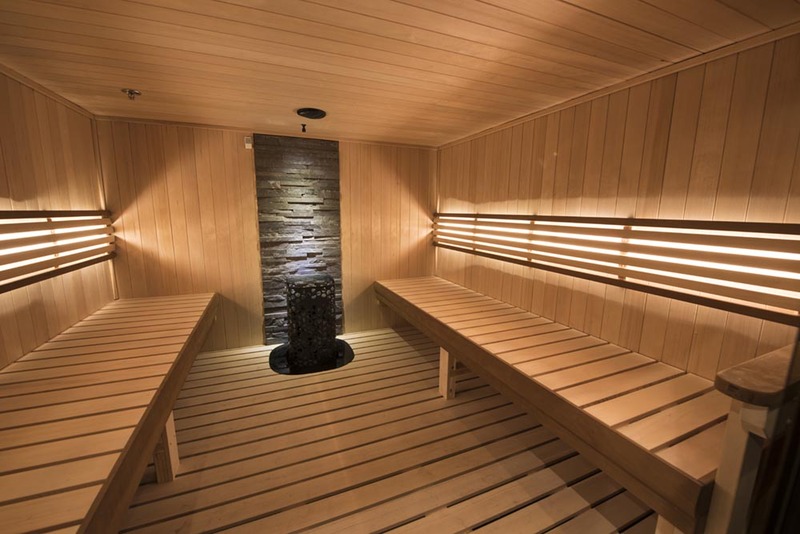 Five tips to keep your sauna in tip top shape. June 7, 2017 – Does your sauna give you what you need? You need to return the favor. 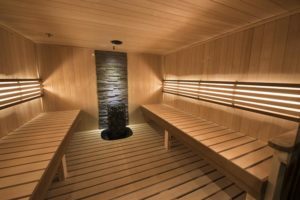 We’ve been in the sauna business for a while now and one thing has become apparent: a lot of folks don’t understand that saunas require ongoing maintenance to stay in great condition. Not to worry! We cover just what you need to know with these 5 easy tips. When bodies meet boards. Saunas are all about detoxifying, and the way your body rids itself of toxins is by sweating. That sweat and those body oils have to go somewhere, but the sauna wood should not be their final resting place. You need a barrier between body and board, and an absorbent towel made especially for sauna use is your best bet. An excellent alternative are linen sauna seat covers by Rento, a top-shelf line of sauna accessories offered by our sauna manufacturer Finnleo Saunas. No seat covers? No problem. A good terry towel will do just fine. Make sure you have a plenty on hand so guests can have a fresh towel when needed. Clean wood is good. No matter how committed you are to maintaining a stain-free sauna, you cannot be everywhere all the time. Stains do happen; on benches, back rests, and head rests. And they need to be cleaned and sanitized. We have the answer. Sauna Clean by Finnleo. It’s specifically designed to clean and deodorize sauna wood. If you can’t remove stain marks with a thorough cleaning, a fine sandpaper can be used. Make sure you do a good job of vacuuming the surfaces when you’re finished sanding. Don’t finish your Finnish. Never apply a stain or varnish to the interior of your sauna. Sealing the wood could cause premature cracking and/or splintering. There’s also a possibility that these finishes could cause off-gassing that might turn your sauna into a toxic environment. Ventilate to evaporate. After you’re done with your sauna session leave the door ajar. That will help your sauna to dry out and evaporate any residual moisture. Crystal clear and odor free. It’s common to have sweat end up on the sauna floor. Make sure you clean the floor weekly to prevent bacteria and odor buildup. Let your sauna cool down completely, then clean the interior of the windows. This will help to keep the glass stain free. Vinegar based products are best for this since they don’t create any off-gassing when the sauna is heated. It cleans you. You clean it. Everyone is healthy and happy. Enjoy your sauna!